Byzance Hotel is a two building complex, build in traditional style and it is located in Skala Patmos. The hotel has 25 rooms, apartments and studios to offer. Our guests have a snack bar, a roof garden overlooking the sea, a TV room and a sauna at their disposal. All rooms are equipped with a mini bar, air condition, direct dial phone, WiFi with Internet access and music. Also available are two room family apartments equipped with kitchenette and refrigerator. Patmos is a small island of the Aegean Sea that belongs to the Dodecanese complex. The calm ambience, the lovely beaches and the traditional architecture attract many summer vacationers there. 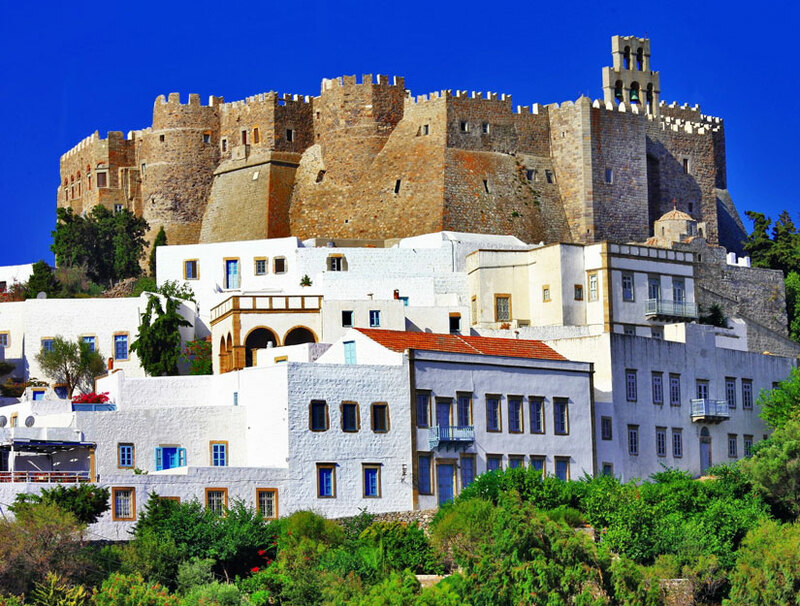 Patmos is also the island where Saint John wrote the Book of Revelation, which is why the Monastery of Saint John and the Cave of Revelation are the most popular sights. Skala is the main port and Chora is the capital village. Grikos and Skala are the most popular tourist resorts of Patmos.